Suitable from birth to a maximum weight of 15kg. come complete with a carry cot (including mosquito net), changing bag, baby car seat, cup holder, shopping basket and rain cover. high-quality aluminium frame extremely lightweight. large rear wheels and lockable 360° swivelling front wheels. shock-absorbing suspension. brake on both rear wheels for optimum safety. carry cot is attached using the integrated adaptors in the armrest’s easy-fix system. zero plus comfort baby car seat is suitable from birth and is installed in a rear-facing position in the car. adjustable foot rest and reclining backrest. unfolded dimensions: d89xw55xh105cm. folded dimensions: h40xw55xd75cm. 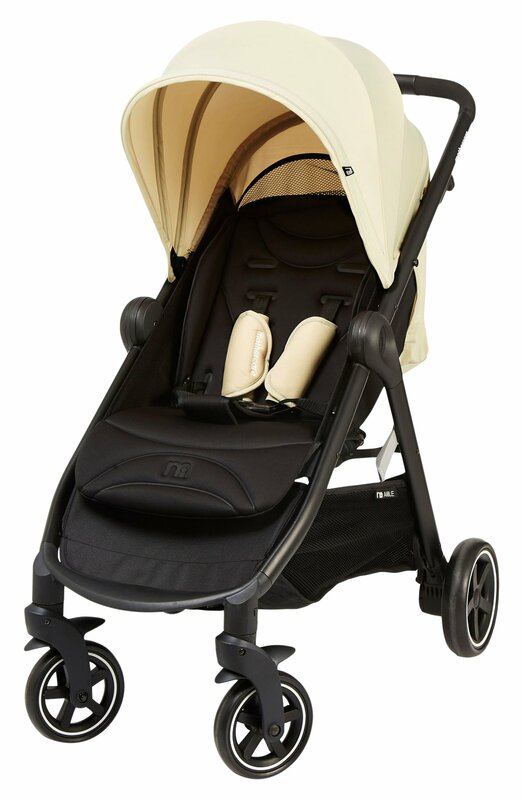 pushchair weight: 9.7kg small compact fold to fit into almost any car boot.